ILIGAN CITY — Residents displaced by the ongoing conflict in Marawi City still vividly recall the harrowing stories of their escape but many of them, especially the children, still hope that one day they could return to their city in peace. Eleven-year old Sandara, whose family is among the close to 300 currently taking shelter at the Brgy. Maria Cristina Gymnasium in Iligan City, was on her way home in Camp Ranao along with her friends when the Maute terrorist group attacked the city. It was only the following day, however, when her family managed to flee, traveling more than 12 kilometers on foot to the town of Pantar before proceeding to Iligan City. It wasn’t long before major roads and highways became congested with vehicles of people trying to escape the conflict. Those who didn’t have one had no choice but to walk on foot for close to four hours, many with their children in tow. Julita Nonongon, a grandmother of 12, was among them. Despite her age, she managed to endure the long hike, along with her sons and their wives and children. Her daughter-in-law Cecille, 24, was pregnant with her fourth child at the time and was nearing her due date. Cecille would deliver her child several weeks later at an Iligan City public hospital. “It was really hard but we didn’t have a choice. 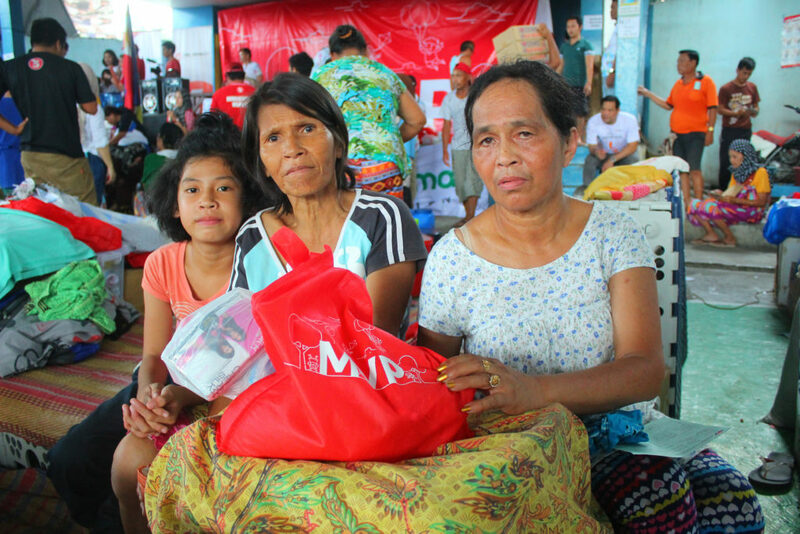 The night before, we couldn’t sleep because of the sound of relentless gunfire and bombs exploding,” she recalled in an interview with a program officer of One Meralco Foundation during its relief operations here last week. “Fortunately, upon arriving in Pantar, we were able to hire a truck to take us to the nearest evacuation center in Iligan City. We only had enough money for food and emergency expenses but because we had to pay the truck driver P1,000, we arrived in Iligan City short of cash,” she said. Nonongon and her family ended up in Brgy. Maria Cristina, where an already cramped gymnasium was going to be their home for the next two months — or longer. “We are grateful that we have survived the ordeal, although I must admit that our life here is very different from what it used to be. Back in Marawi, before the conflict happened, I sold peanuts and popcorn at passenger terminals and in schools. My husband and sons were pedicab drivers. We might not have had much, but at least we were earning some income. At present, we are dependent on help from the government and generous individuals and companies,” she explained. Since the evacuees do not know for sure when their supplies are replenished and how soon they will last, they manage their available resources, careful not to waste each and every relief pack they receive. “Whenever we receive goods, we think of our children first and then ourselves,” said Nonongon. Apart from food, sanitation and hygiene have also become a problem in many evacuation centers. Many children suffer from air-borne, respiratory and skin diseases. To replenish the food supply and address the need for proper hygiene of evacuees here, One Meralco Foundation (OMF), along with other foundations in the Manny V. Pangilinan group of companies, distributed relief packages containing food and hygiene kits to families at the Brgy. Maria Cristina Gymnasium on Monday, July 31. 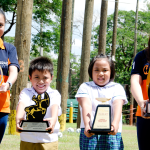 This is the second batch of relief items dispatched by the social development arm of the Manila Electric Company (Meralco), the Philippines’ largest electric distribution company. The first one was sent a few weeks after the conflict started. 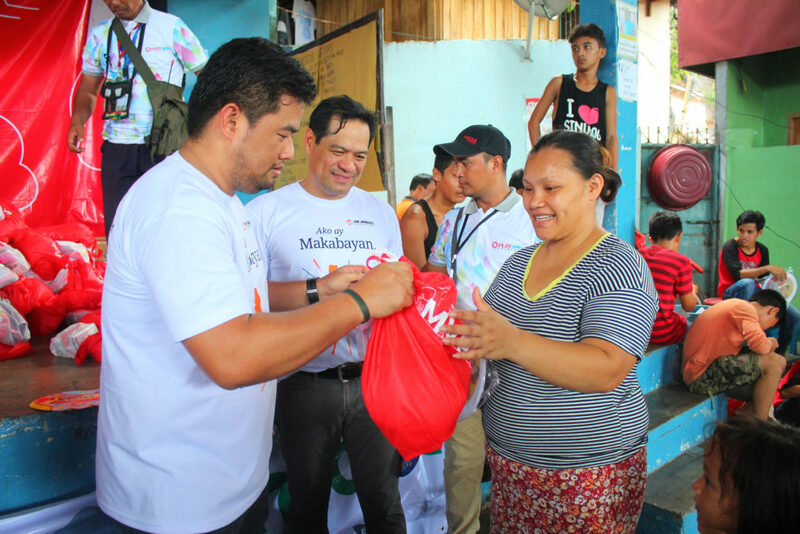 It included food packs, blankets, cookware and clothes which were turned over to victims through the Lanao del Sur Electric Cooperative (LASURECO), ARMM and TV5’s Alagang Kapatid Foundation. 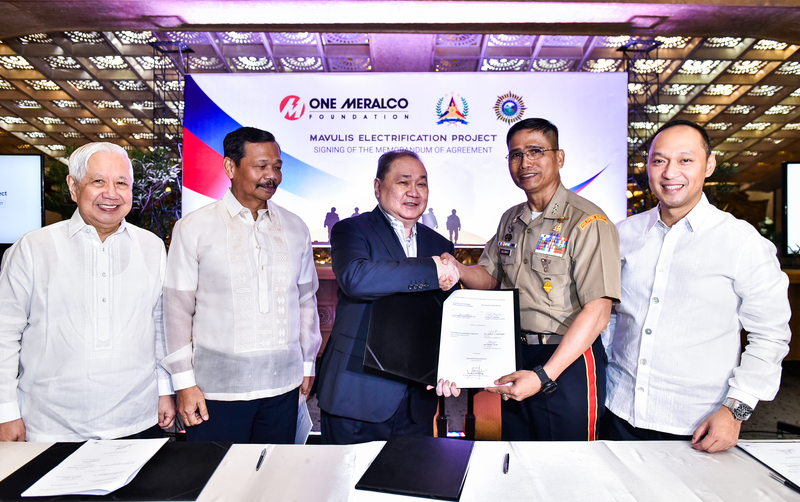 Meralco is also preparing its power restoration team, a group of dedicated volunteers from the company’s roster of linemen and engineers who offer their time and talent to help local electric cooperatives immediately restore power services in the aftermath of disasters. The clashes in Marawi City could have destroyed vital power lines and damaged electric distribution facilities, and the local electric cooperative might need additional manpower and heavy-lifting equipment once post-crisis rehabilitation begins. Meralco’s power restoration team has been instrumental in expediting the resumption of electricity services in Davao Oriental (Typhoon Pablo, 2012); Northern and Central Luzon (Typhoon Santi, 2013); Western and Eastern Visayas (Typhoon Yolanda, 2013); Albay (Typhoon Glenda, 2014); Sorsogon and Oriental Mindoro (Typhoon Nona, 2015); Batanes (Typhoon Ferdie, 2016); Cagayan and Isabela (Typhoon Lawin, 2016) and Albay, Camarines Sur, Catanduanes, Oriental Mindoro and Quezon (Typhoon Nina, 2016). 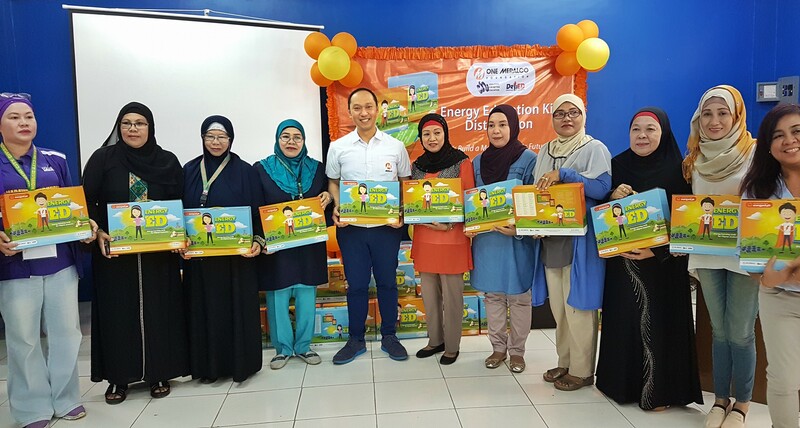 Last month, One Meralco Foundation also turned over its Energy Education (EnergyEd) flashcard kits to public schools in Cagayan de Oro City, Iligan City, the Autonomous Region for Muslim Mindanao (ARMM) and safe zones in Marawi City which have absorbed students who fled the conflict areas. 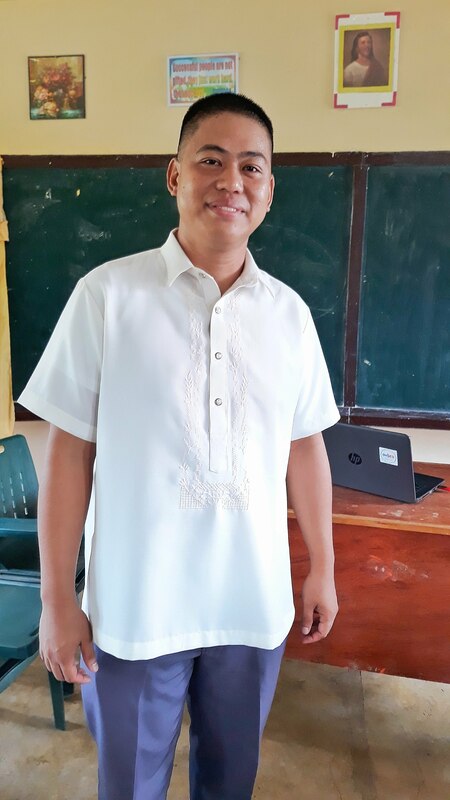 The kits were developed by select public school teachers and were designed to educate students on energy by incorporating energy-related topics in DepEd’s K-12 curriculum. These educational materials may also be used by volunteer teachers in tutoring children in evacuation centers so they can catch up on their lessons while they are out of school.